Many people suffer from pain radiating from the lower back down the back of the thigh and continuing down below the knee into the calf and sometimes down the front and side of the leg. Patients describe this pain as sharp, burning, stabbing, throbbing, jolt like pain. It can be constant or it can be intermittent. The sciatic nerve is comprised of branches of nerves which exit from the lower back and upper sacral segments. If you were to look at the sciatic nerve you would see that it’s one of the largest nerves in the body width wise. Now, nerves just don’t cause pain for the sake of pain. Most of the time, the sciatic nerve becomes painful because it becomes irritated. When one of the vertebrae in the lower back shift out of its normal position it can irritate the sciatic nerve and cause pain. There is no drug that can put that vertebrae back into its normal position. If the sciatica is very severe drugs won’t even give temporary relief. I have been assisting patients with this condition for the past 35 years. As a Chiropractor, I will analyze the stucture of the lumbar vertebrae and sacrum and then correct the cause of the sciatic pain and remove the irritation. Stop suffering needlessly from this condition. Pregnancy, Lower Back and Sciatica Pain Relief With Gentile Chiropractic Care. Many pregnant mom’s are very uncomfortable for several months or even worse all nine months not realizing that chiropractic adjustments can offer great relief. That lower back pain or tingling burning sensation that radiates down the leg from pressure caused by the weight of the fetus can be significantly reduced or even eliminated with gentle chiropractic adjustments. I have a special adjusting table in which the abdominal section of the table drops away so it does not exert any pressure to the abdominal area. Many mom’s have told me they don’t know how they could have ever made it through the pregnancy without their adjustments! My own wife was pregnant with twins and had an annoying sciatica problem that became almost non-existent after her adjustments. By the way, she had a full term natural pregnancy with two healthy boys- one 8 lbs. and one 7 lbs.! So if you’re pregnant and just waiting for the nine months to end so you can find relief-don’t wait any longer. 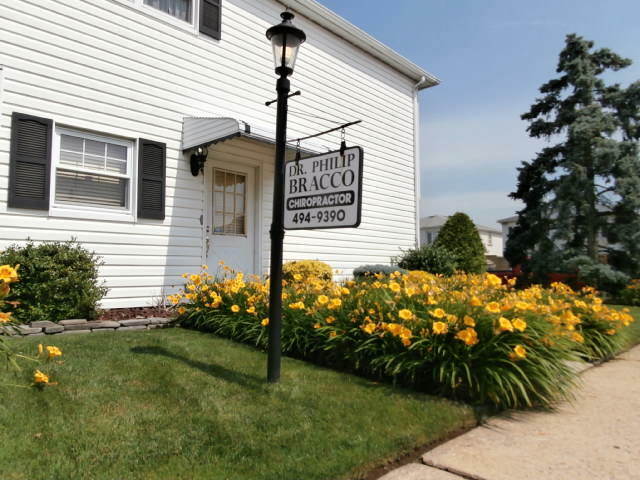 Come visit the Bracco Chiropractic Center today for your adjustments and start feeling good again and enjoy the remainder of your pregnancy! My office is located in Heartland Village near the Staten Island Mall, call for an appointment at 718-494-9390.